Fanny “Bobbie” Rosenfeld was born in 1904 in Ukraine but she would go on to become one of the most accomplished Canadian athletes of all time. Earning the nickname “Bobbie” because of her haircut, Bobbie would go on to be successful both as an athlete, teammate, and sports writer. Video courtesy of Historica Canada. An excellent overall athlete, Bobbie excelled in many sports, training and competing in ice hockey, basketball, softball, and she even won Toronto’s 1924 grass-court tennis championship for women. After dominating in any sport she seemed to play in Toronto, Bobbie would eventually go on to represent Canada at the Olympics. Not only did the athletic superstar qualify for the 1928 Olympics in Amsterdam, but she would also earn Canada our first Olympic medal in a track and field event: a silver in the 100 Meter race. But Bobbie wasn’t done there: she and her teammates also earned the gold in the 4 x 100m Relay. Without a doubt Bobbie Rosenfeld’s athletic prowess was incredible but it is the stories of courage and sportsmanship that best depict her leadership. Bobbie demonstrated her courage and tenacity off the field as well. In September 1929 Bobbie battled arthritis which left the Olympian bed-ridden for eight months and spending another year on crutches. But Bobbie wouldn’t let arthritis hold her back because by 1931 she was once again playing softball and was even voted the top women’s hockey player in Ontario in 1932. Talk about a swift recovery. After her column was published for 20 years, Bobbie ran the promotion department of the Globe and Mail until 1966 when illness forced her to retire. Bobbie Rosenfeld died in 1968 in Toronto and has since been honoured with numerous accolades including induction in the Canadian Sports Hall of Fame in 1955 and being featured on a Canada Post-issued stamp in 1996. Inducted into the BC Sports Hall of Fame in 1998 as a “Builder” of her sport, Billie’s journey began much earlier in 1961. During that year Billie was elected chair of the British Columbia Section of the Canadian Figure Skating Association (or CFSA). Not only was Billie now in a prominent position allowing her to implement the innovative ideas she was known for, but her election to the position made Billie the first woman on the National Board of Directors – an amazing step forward for women in the sport. Billie continued her upward trajectory in sport by being elected the first woman on the executive level of the CFSA. Three years after obtaining the executive level, Billie became the association’s first female president. During her active years at the CFSA, Billie introduced various ideas and concepts on how to better convene the sport, particularly in her home province of British Columbia. One of her ideas was to divide the large province into five smaller and more manageable regions – a system that is still in effect today. Perhaps her most notable and recognizable contribution to the sport of figure skating in Canada came about in 1973 when Billie introduced the “Parade of Champions,” also known as the Gala, at the Canadian Championships. To this day, the Parade is a fun moment in figure skating when the medallists from each category get to perform a ‘for fun’ routine and celebrate their hard work. These routines are moments that provide fans with a glimpse of the skaters’ personality along with their skills. During major figure skating competitions, Billie worked as CTV’s unofficial accountant, helping the network keep score (it would still be a while before computer accounting would be used in the sport). Billie described one of her most memorable experiences as when she calculated that Vancouver-based skater Karen Magnussen won the World Championships in 1973. EV “Billie” Mitchell is a perfect example of how anyone can make a difference in her sport without being a participating athlete. Billie’s contributions to her sport helped shape the way that the figure skating is still operated in British Columbia and the “Parade of Champions” has become a tradition that is embraced by figure skaters from all over the world. Her career and volunteering in the sport have set a remarkable foundation that skaters, coaches, and volunteers can still benefit from. While both of these incredible women demonstrate leadership, perseverance, and an innovative spirit, Bobbie Rosenfeld contributed to her field in a way that was very different from EV “Billie” Mitchell’s. Neither contribution is superior to the other and in fact, it’s the ability to bring about change and improve regardless of one’s position that is the key takeaway from their stories. Bobbie Rosenfeld battled arthritis which may have ended her athletic career but it didn’t stop her from being a strong voice for female athletes. EV “Billie” Mitchell was not a competitive figure skater herself but she didn’t let this stop her from progressing in the sport. This article only shares two stories of trailblazers, such as Billie Mitchell and Bobbie Rosenfeld but there are countless other examples of inspiring and feisty women - just like yourself. Who are some incredible leading women you can think of? Share their story in the comments, we’d love to hear about them. Looking to learn more? 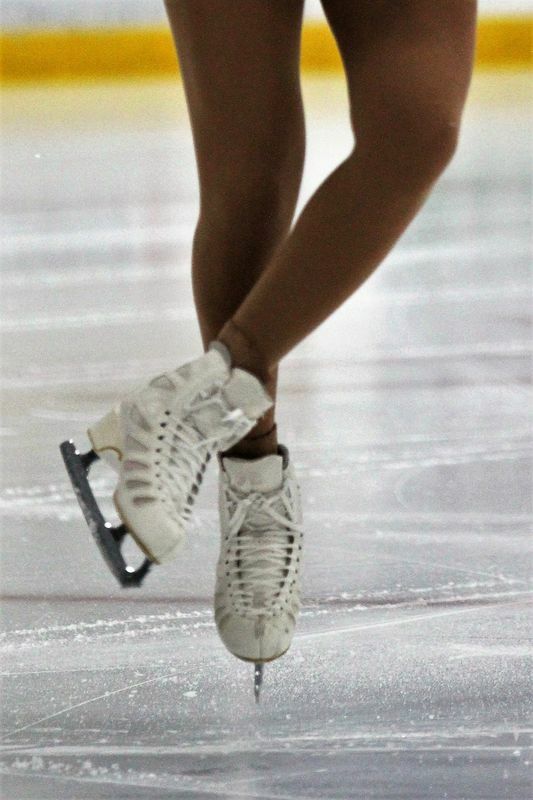 Explore our Figure Skating and Running activity pages for great articles like Figure skating is much more than just spins and twirls. Check out our Athlete Advisor, your online business directory for more information on figure skating and track and field in your community. Find, rate and review clubs, learn-to-skate programs, local community offerings and businesses that will help you do your thing! Find or start an event or competition on our SWSCD Hub. Do you have a good resource for those learning to run or a story about figure skating? Tell us about your experience directly on our Discover blog or by using #seewhatshecando on social media and inspire others to get active. Written by Jennifer Blair. Unable to settle on just one sport, Jennifer is willing to try any activity but can most often be found on the ice, in the pool, or on a yoga mat. When she's not working up a sweat, Jennifer is likely drinking an Earl Grey tea, daydreaming about travel, or convincing her boyfriend to watch Harry Potter with her. Again.